Dec. 10, 2017 - A new study shows that the critically endangered Sumatran tiger may soon vanish from the planet. Sumatra has one of the highest rates of deforestation in the world, driven largely by palm oil production. 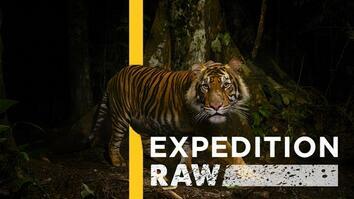 Habitat loss has driven the tiger's wild population to less than 600. 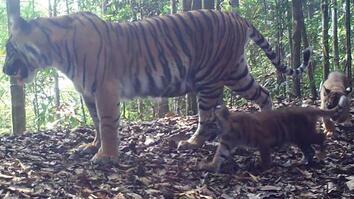 A new study shows that the critically endangered Sumatran tiger may soon vanish from the planet. Sumatra has one of the highest rates of deforestation in the world, driven largely by palm oil production. Habitat loss has driven the tiger's wild population to less than 600.